Jackie Chan is 57 years old. Jackie Chan’s first credit was 1964’s Big and Little Wong Tin Bar. 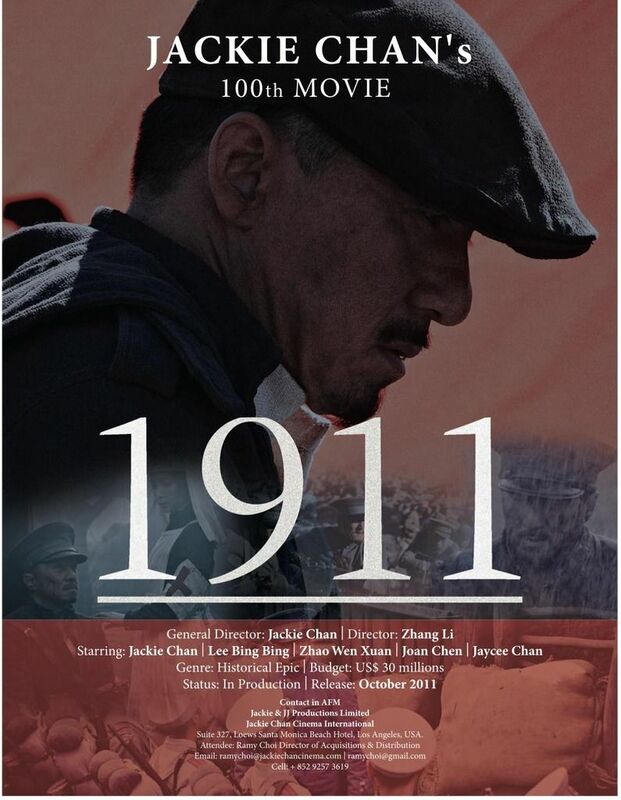 Jackie Chan has filmed 100 movies. Let that sink in… Actually, 1911 will be billed as Chan’s hundredth project to coincide with the centennial of the film’s subject matter: “the founding of the Republic of China when nationalist forces led by Sun Yat-sen (Winston Chao) overthrew the Qing Dynasty.” IMDB has Chan at 109 acting credits, including a few uncredited appearances and his voice gig for Kung Fu Panda. But still, nothing to sneeze at no matter the margin of error around 100. In what THR suggests may be a first for an Asian film, international distributor Well Go USA plans to mark the occasion with a day-and-date release in China and the United States. The posters (featured after the jump) suggest October 2011 — the Wuchang Uprising launched the revolution on October 10, 1911. 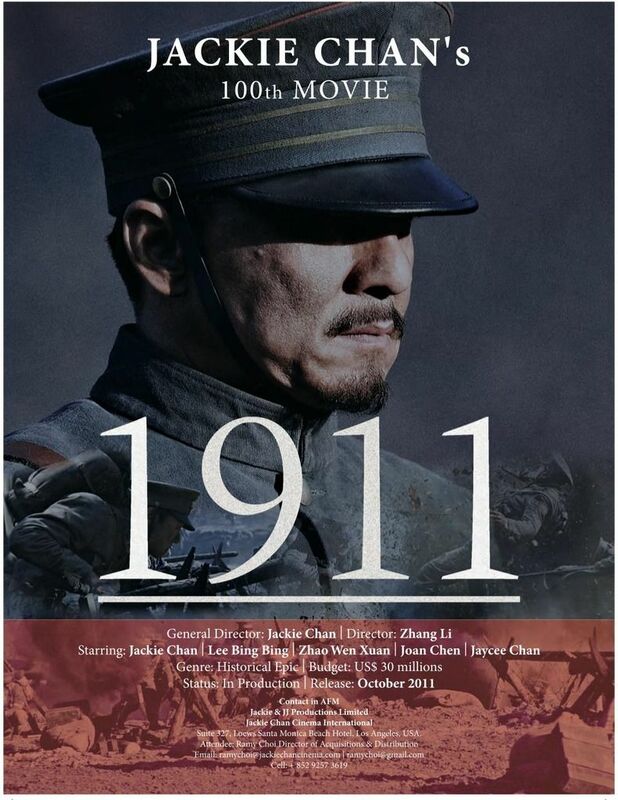 Chan co-directed 1911 with Red Cliff cinematographer Zhang Li.